These multi-family home plans can offer identical units or units with different floor plans. The units can be one or more levels and range in size from simple one bedroom, ne bath designs to three or more bedrooms and baths per unit. Some of the larger designs offering four or more units can be considered apartment plans. 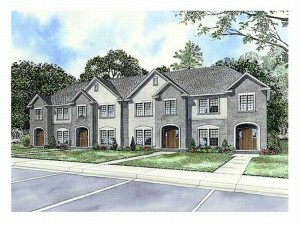 If you are in the market for multi-family house plans, take some time to browse our collection.